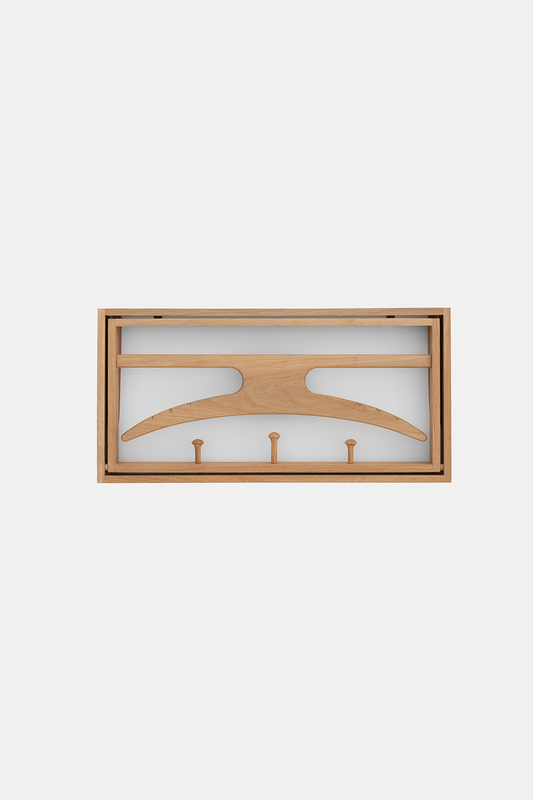 The Hanger was designed in 1964 by Adam Hoff & Poul Østergaard and has a unique way for hanging up your jacket and bring life to a room. 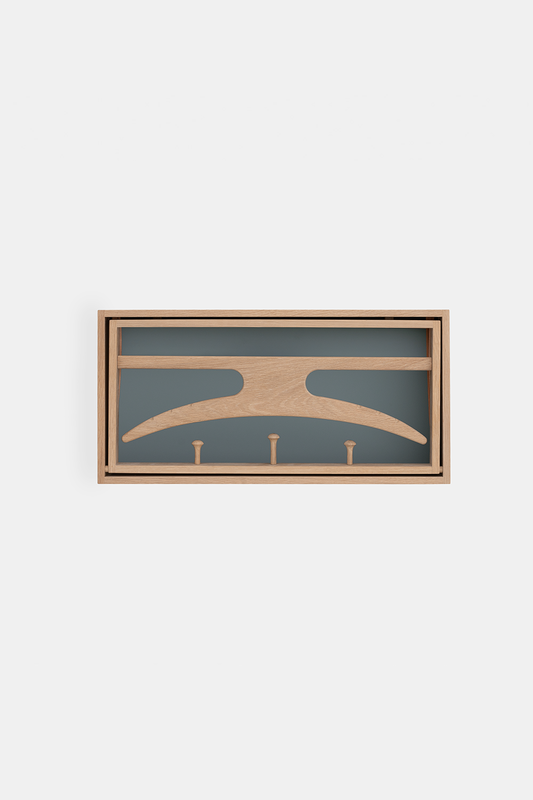 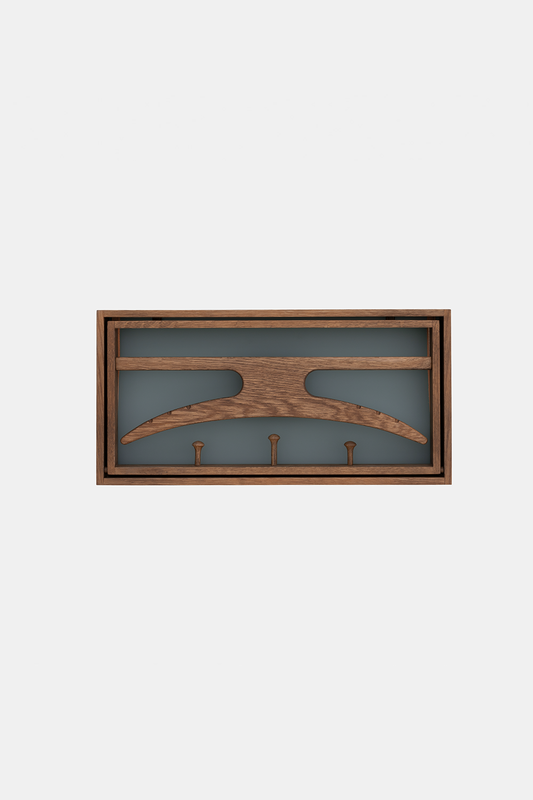 Not only is it a functional coat hanger with a clever design, it is also a sculptural piece to mounted on the wall. 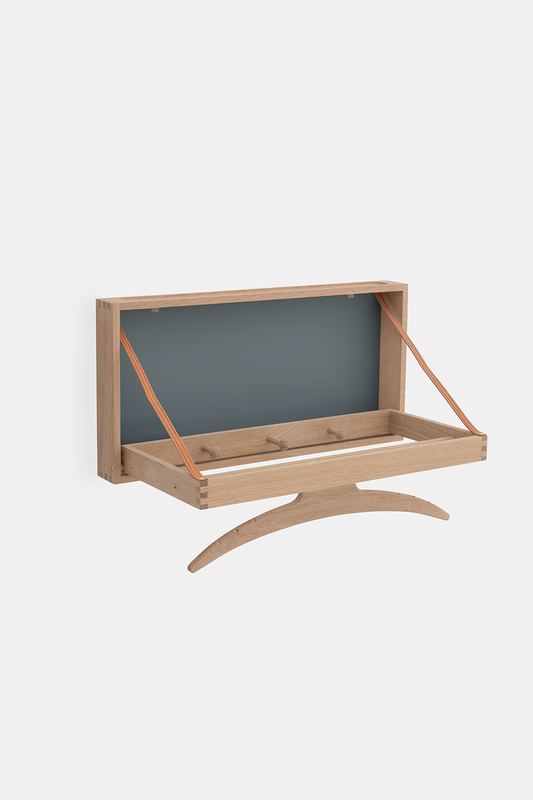 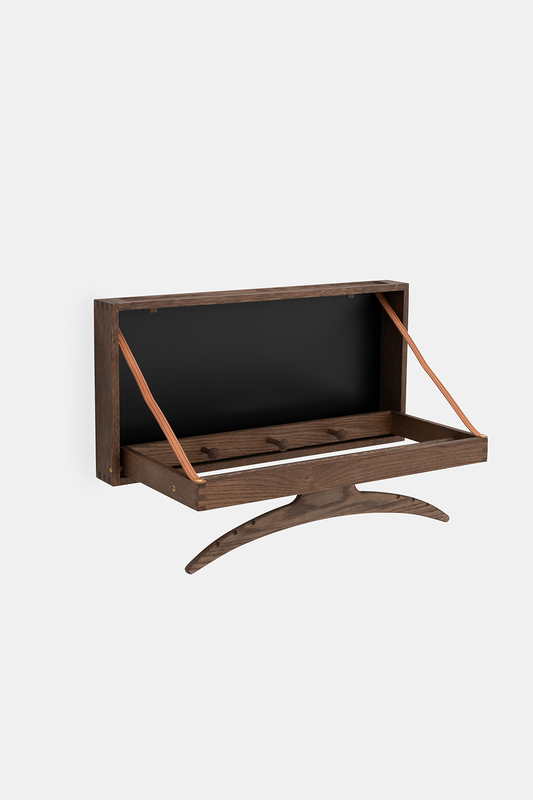 Frame: Soaped oak, Smoked oak, Oiled oak & Black stained oak.